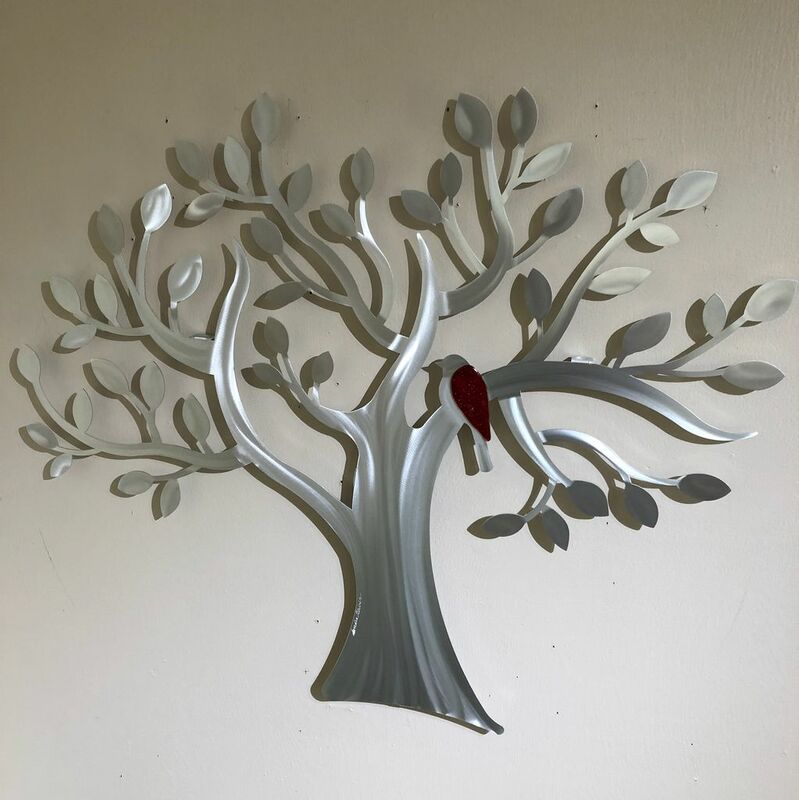 Sondra Gerber wall art Fly Away Tree. Hand brushed with textures to make a reflective surface. Planned shapes & layers create shadows and depth. 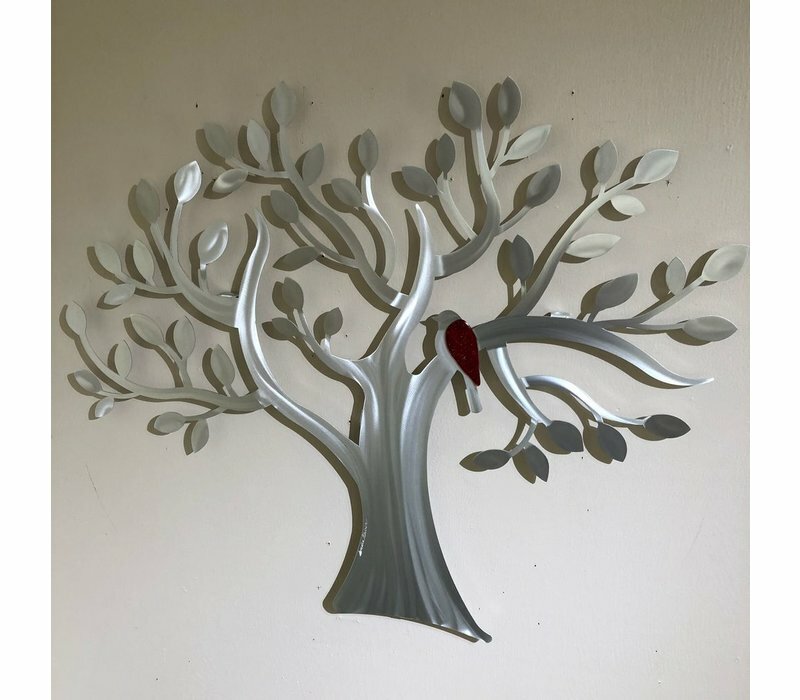 Transparent colors, applied by hand, bring vibrancy to these pieces.